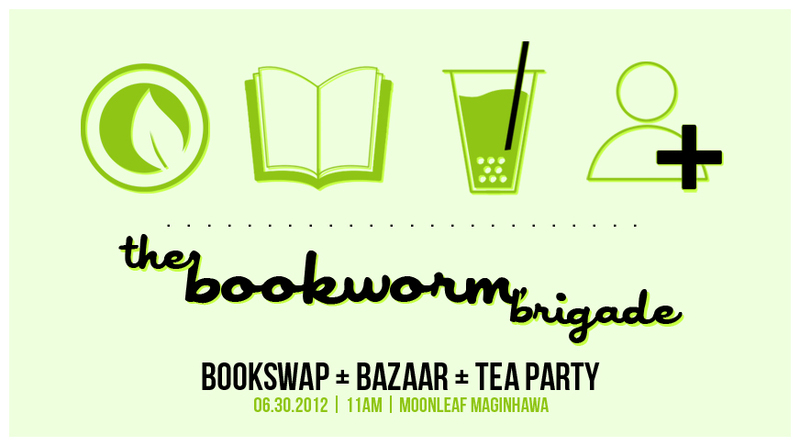 Inviting everyone to Moonleaf Maginhawa's bookswap + donations event this coming Saturday, June 30 at 11AM to 4PM. I'm sure it's going to be a fun-filled afternoon since it will involve spending time with your friends over books (bring those that you'd want to share, sell or trade) and milk tea! ♦ Booktrade - You can sell your books, too, but with a ceiling price of PhP100 ONLY per book. ♦ Bookdrive - Bring educational books that we can donate after! Let's help the cause of education. They'll be partnering with Global Shapers by Anna Oposa with the book donations. Hmmmm I kinda want to particpate in this event.. I will check this out!